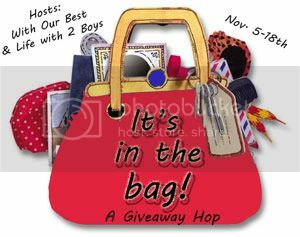 This giveaway runs thru November 18, 2012, is open to US residents age 18+ and uses the Rafflecopter Widget for FAST and EASY ENTRY! There are many OPTIONAL entry methods to give you additional chances to win, but just choose the ones you want. Email addresses and other info are only used to verify and contact the winner. Rest assured that your information will never be sold or shared with anyone. All entry methods are subject to verification. Please make sure you provide all required information or your entries won’t count! 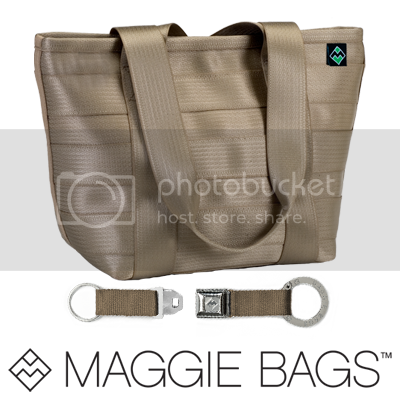 Thanks to our amazing sponsor, Maggie Bags, we also have a fun Grand Prize for one lucky winner: A Campus Tote and coordinating Key Chain (ARV $104)! Maggie Bags offers fashionable and eco-conscious handbags and accessories constructed from genuine automotive seat belt webbing. Use code: InTheBag for 25% off any Premier Collection purchase. 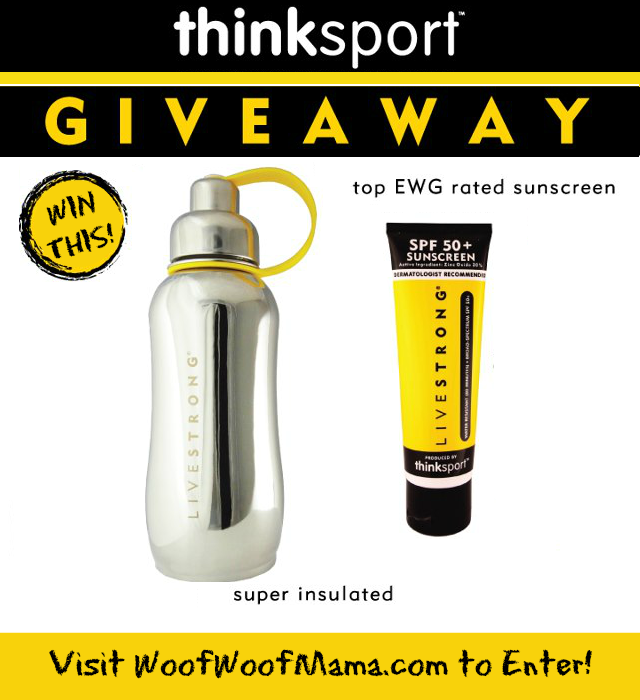 Enter the Grand Prize Giveaway! I was not compensated for this post and all opinions are my own. Sponsors, not participating bloggers, are responsible for all prize delivery and fulfillment. The craziest thing I have found in a bag must have been my cat. I was emptying the bags on the counter and he jumped in. When I went to collect them, one of them was unusually heavy and he just looked at me and meowed. The craziest thing I have found in my bag is dinner rolls, yes dinner rolls. I carry a mini sewing kit that some people think is weird. I am always finding weird things in my handbags because I have two kids and three dogs and a husband. Things from resturants appear in my handbag that my kids think is funny to put in there or one time this is gross, but I had the puppy out with me and no garbage can around and picked up after her and put it in a doggie bag and forgot about it until later, not a pleasant scent when opening up the handbag. Now I just tie the bag to my handbag so I don’t forget. Yuck and so gross. Some people think it’s weird that I carry a pocket knife in my purse. A plastic bag of dog poop to take to the vet. Last Saturday I put a little bottle of poop in my bag to the lab office but I forgot I used to carry a bottle of water and some crackers in my bag! I’ve never found anything too out of the ordinary in my bag. I am always hoping to find some random $100 bill on the bottom but that never happens. A lugnut. I found it in a parking lot and picked it up. It was in my purse for months because I forgot about it. Right now I have 2 packages of oyster crackers in my bag 🙂 Thanks for the giveaway! I carried around my daughter’s tooth for a while! She lost it while we were shopping and we forgot where we put it. When we remembered, we continued to forget to leave it out for the Tooth Fairy! I dont know if it’s weird, but I always carry a small jade dragon in my purse. The craziest thing I have found in my bag was dog cookies that my chihuahua hid.